Alain Daniel Shekomba (image on the left) is in his forties, married with three children. Shekomba’s background: he was president of the student association of the University of Kinshasa. Shekomba holds a master’s degree in physics from the University of Kinshasa. Following university he was also, for a time, a political exile. Shekomba has a sophisticated knowledge of the world including America, France and most of the rest of Europe and importantly Asia. These three continents have interacted historically, socioculturally and politically over ‘the spoils’, the minerals, that are contained in the African continent, especially by China. Alain Daniel Shekomba announced his candidacy for the presidential election, last October 2017 in DRC, under the political slogan “Mission Nouvelle”. An important backdrop at this point in time to DRC’s fate is the illegal bombing of Syria unilaterally by the US, UK & France. Why? Because last week, the African Union (AU) firmly stated it is “deeply committed to multilateralism” and stresses that “any response to such acts (Syrian bombings by the West) must be based on irrefutable evidence gathered by a competent, independent and credible entity and scrupulously comply with international law, including the primacy of the United Nations Security Council for the authorization of any use of force”. I guess the AU fears democratic elections won’t take place on the African continent due to foreign ‘interference’. Is there in fact a foreign plot for the ‘renewal’ of the current regime? However what if instead the solution was ‘a third way’; not from the traditional opposition, and not disposed to the new colonialism we are seeing in the 21st Century? A factor is what’s happening in the Central African Republic (CAR) with the rapprochement of President Touadera towards Russia and does it spell danger for the sub-region given this fairly new rampant Russophobia from the West? What should the countries of Central Africa do to avoid any attempt to destabilize the CAR by the US through the ever present US AFRICOM? A question to ponder over! That’s how the UN described this March what’s happening in DRC. The country has been at war for much of the past 25 years, including recent political instability after President Joseph Kabila (image on the right) stayed in power way beyond his mandated two-terms in office. Now, as the UN plans to hold a donor conference in Switzerland to help raise nearly two billion dollars, Congolese officials say they will not attend, accusing the agency of exaggerating the problem. Whomever gives $2b will want something in return! So, how serious is the political and humanitarian crisis in the DRC? To understand the richest country, mineral wise, in the world, one needs to study the obvious decades of disgraceful colonial occupation by Belgium but the significance, not recognised by many, of the assassination of Patrice Lumumba (image on the left) in the Democratic Republic of the Congo in January 1961, less than 7 months after taking office as prime minister of the then newly founded independent country. The complexities of Congo’s situation after independence from Belgium and the international forces that played a part in Lumumba’s assassination, still exist today. Lumumba was falsely branded a communist and Russian puppet but he went on record several times to say he never had been nor never would become a communist or Marxist – he was a fervent nationalist. Full stop. Its important to revisit 1961 to understand the DRC in 2018. 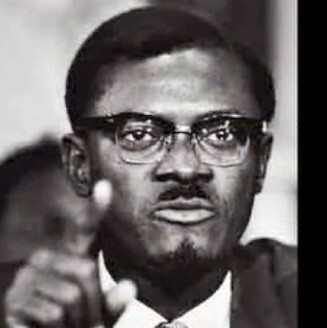 One question with no real answer is why exactly was Prime Minister Patrice Lumumba assassinated? A part answer, obliquely referenced, is this. Some of the largest American corporations today, like Lockheed Martin Aeronautics, Boeing & Apple worth combined almost $ 3 Trillion. These three alone get 60% of their resources from the Congo; there are other companies from Europe & Asia but let’s focus on where the US might decide to play out their Russiaphobia narrative next: it could be in the DRC. Also something to ponder. Its all about mineral wealth. $4 Trillion, yet its the poorest country in Africa. Why? Botswana’s new President Mokgweetsi Eric Keabetswe Masisi is the 5th President of Botswana since 1 April 2018. 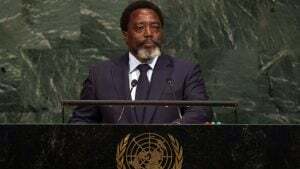 He has urged his counterpart in the DRC, Joseph Kabila not to stand for re-election in the country’s 23 December election. Masisi’s call means he takes a similar stance as that of his predecessor Ian Khama, who on more than one occasion, called upon Kabila to step aside. “Hopefully we can get from Kabila a real commitment to not attempt to come back to power by whatever means,” Masisi added. 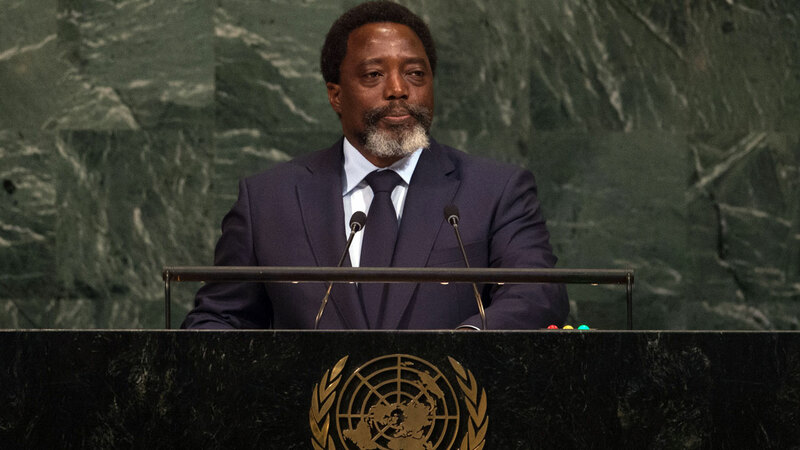 Kabila failed to leave office at the end of his term in December 2016, following past failures by the country to conduct a presidential election to find his replacement. In the past, the electoral authority have said then that it was unable to hold the vote due to ‘logistical challenges’. Last month, Bruno Tshibala Nzenze, who has been Prime Minister of the Democratic Republic of the Congo (DRC) since May 2017 said in an interview with the BBC that Kabila would not seek Presidential re-election in the December vote, or alter the constitution to allow his name on the ballot. Opposition leaders however still suspect that Kabila will still try to cling on to power. The failure to hold the presidential vote as scheduled in November 2016 sparked violence in the DRC, escalating an already dire situation caused by ethnic clashes. “The president of the DRC has stayed in power longer than the time that was expected,” Botswana’s President Masisi, who took office this April, said during an interview with London’s International Institute for Strategic Studies. Masisi in the interview acknowledged the DRC’s potential but worries that the international community will take no action if Kabila decides to cling to power. The announcement of the election date on 23rd December 2018 came following pressure from the U.S. by its ambassador to the United Nations, the hawkish Nikki Haley, warning that the Donald Trump administration would cut funding to the DRC if the elections were not held. We’ll see who the Americans want as their preferred Presidential candidate; for sure it won’t be an independent nationalist! 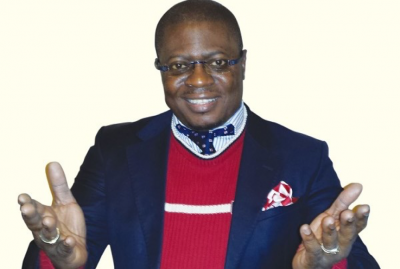 That Alain Daniel Shekomba’s nickname is ‘Lumumba’ reaffirms he has the same non-aligned credentials and beliefs as his distinguished namesake. It would make for an end to the status quo and corruption of all past DRC politicians of the last 25+ years, if Alain Daniel Shekomba can win the election in December. It is in the Congolese people’s interests that the young ‘Kennedyesque‘ Shekomba becomes President.